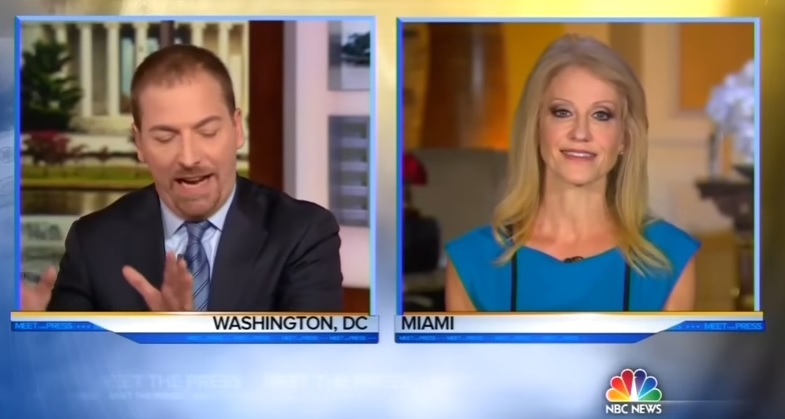 Kellyanne Conway went on the hostile Meet the Press this morning to be grilled by far left host Chuck Todd. At one point in the lambasting Conway paused and attack Todd for the double standard in the liberal media between their treatment of Barack Obama to their treatment of Republican Donald Trump. The liberal media DOES NOT LIKE to have their authority questioned.